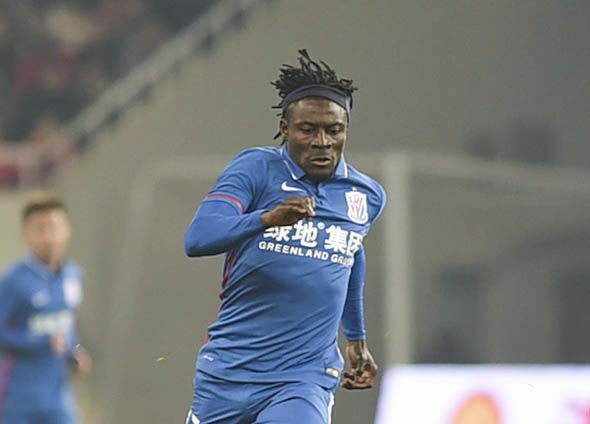 Chinese Super League outfit Shanghai Shenhua on Thursday confirmed that their injured striker Obafemi Martins had travelled to England to undergo surgery . “ Martins is flying to UK for surgery today. Be well soon ,” the club wrote on their Twitter handle . The 33- year- old is set to spend about seven months on the sidelines after suffering a hamstring injury in his right knee in Tuesday ’s Asian Champions League encounter against Kashima Antlers . Martins , who played for Newcastle United and Birmingham City in England , was replaced after his injury. Shenhua were dumped out of the tournament after a 2 – 2 stalemate at Hongkou Stadium . The former Seattle Sounders attacker has scored three league goals for Shenhua , who are placed sixth in the Chinese Super League.